This Magic Smartphone Is Also A PC! Gone are the days when travellers need to lug heavy laptops on international flights and around the world. Who needs it, writes PAT PILCHER, when you’ve got a smartphone that you can use as a PC? It isn’t easy building market share in the ultra-competitive smartphone market. Customers are on the prowl for fresh and exciting new, killer features. These have become very important. Buyers need a reason to plonk down the sizeable wad of cash needed to buy a flagship smartphone. For phone makers, getting this right is trickier than you’d think. Many big smartphone brands have struggled with innovation. Blackberry didn’t move with the times and are now on life support. Apple copped criticism over their samey-samey design, but they still sell a load of phones. HTC were once darlings of the smartphone world, but they’ve struggled to find really appealing features. More recently, they sold of a sizeable chunk of their smartphone business to Google. Making things even more complicated is the need to pick the right killer features. It’s a fickle thing. Take physical keyboards. They were hotter than hot several years ago. Nowadays, no flagship phone maker in their right mind is considering them. None of this has escaped Huawei’s attention. They’re betting big that a ‘PC Mode’ is the next big thing for smartphones. It’s a logical move, given the Mate 10’s PC-like specs. Sporting an octa-core, 64-bit CPU, 128Gb of storage and 6GB of RAM, the Mate 10 Pro is a pint-sized muscle machine. Add to this a free Android version of MS-Office apps and you’ve a powerful productivity tool. But there is a but. Who’d want to spend an entire day pecking away at a tiny touch-screen keyboard? I don’t know about you, but this’d have me breaking out in hives. Likewise, a 6-inch screen is generous, but it isn’t something I’d want to use all day for crafting documents. That said, there are benefits. Having lugged laptops for years, I’m all for anything delivering a PC-like experience without having to pay a chiropractor for the privilege. Enter stage left the Huawei Mate 10 and Mate 10 Pro, both of which offer a PC mode. 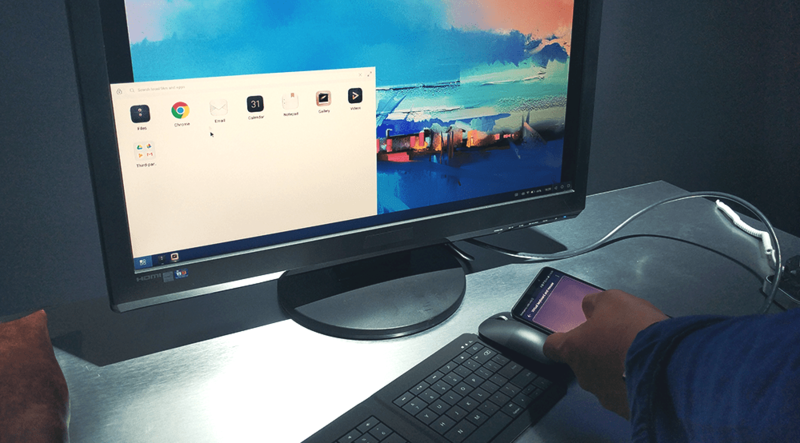 When plugged into a PC screen and paired with a Bluetooth keyboard, the Mate 10 becomes a tiny yet powerful PC. Instead of heaving heavy laptop bags, your productivity tool sits in a pocket or purse. All you need is a Mate 10/Mate 10 Pro, a Bluetooth keyboard, a USB C to HDMI cable and a screen with an HDMI input. 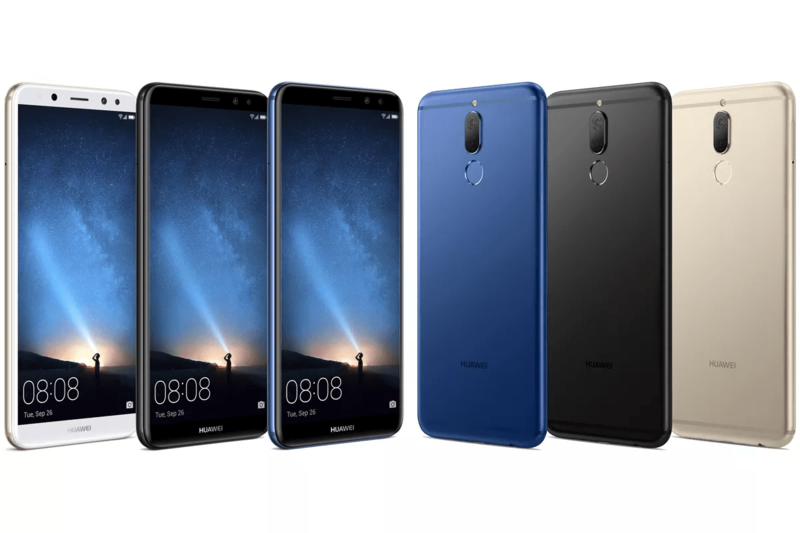 Huawei might not be the first to offer this, but they’ve made it very affordable. Unlike other PC-smartphone alternatives, the Mate 10 doesn’t need a costly dock. All that’s needed is a low-cost cable and a Bluetooth keyboard. For hot-desk environments and travel, this could be a game-changer. If adding a mouse to your now feather-light laptop bag is too much of a hassle, no problem. The Mate 10 also acts as a touchpad. Huawei have also chosen to keep phone functionality separate from PC Mode. This means that if a call comes in, it won’t hijack the desktop PC environment and will only show up on your phone. I paired the Mate 10 Pro with Logitech’s K780 multi-device Bluetooth keyboard. The K780 is compact and light. It’ll also pair with up to three different devices. It consumes hardly any minimal desk space yet offers a comfy typing experience. In practice, this setup worked well. Being Android based, the mate 10’s desktop looks (and feels) a lot like that of a Chromebook. For editing documents, gaming and watching media files, everything ran without a hitch. Given the beefy spec of the Mate 10 this wasn’t a huge surprise. The screen/keyboard combo made chores that had been the domain of PCs almost effortless. Best of all, when I packed everything away, I could slip the Mate 10 into my pocket, and the K780 keyboard, screen and cable stayed on my desk. Compared to lugging a notebook PC and accessories home, it felt like magic. As good as all this sounds, there is one (albeit minor) gotcha. The USB to HDMI cable doesn’t supply any power to the Mate 10. This means that if you’re running lots of apps (especially games) your phone can run out of juice. Here’s hoping Huawei come up with a powered version of the cable, because it is a killer feature.